Fact: The NBCC study relies on misleading claims cut-and-pasted from several previously debunked reports. 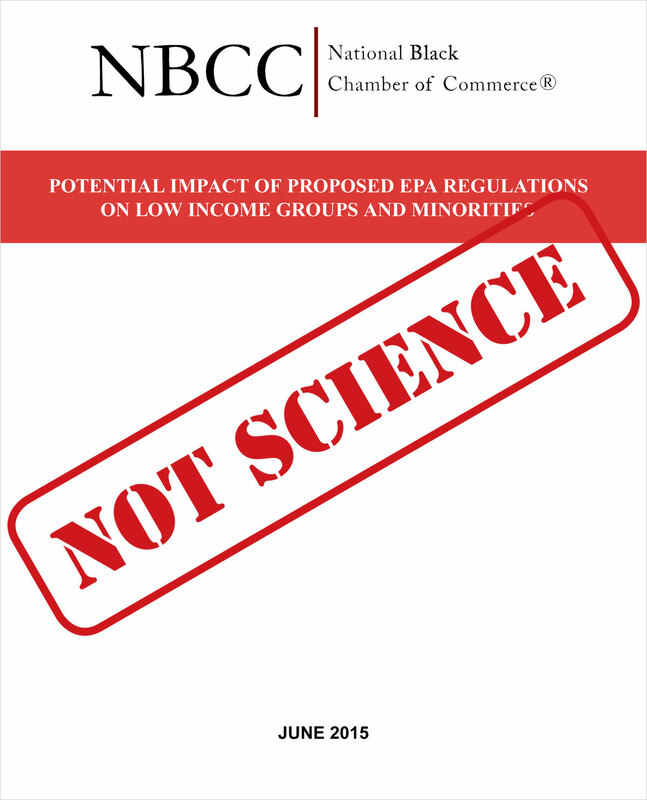 A misleading report by the National Black Chamber of Commerce (NBCC) has been frequently cited by opponents of the Environmental Protection Agency’s (EPA) Clean Power Plan, including in the Wall Street Journal. Harry Alford, president and CEO of the NBCC, is also a leading member of the U.S. Chamber, which opposes minimum wage increases and living wage laws. Alford acknowledges that his group has received funding from wealthy fossil fuel interests, including $1 million from ExxonMobil. NBCC commissioned Roger Bezdek of Management Information Services, Inc., to author its report. Bezdek’s client list includes Peabody Energy, one of the world’s largest producers of industrial carbon emissions. In contrast, the NAACP, U.S. Black Chamber, and other leading organizations support the Clean Power Plan for providing ways to address the disproportionate risks African-American communities face from air pollution and climate change. These include the Clean Energy Incentive Program in the the final Clean Power Plan, which is designed to spur new investment in energy efficiency and help low-income communities create jobs and save money. Other African-American and Latino leaders have also spoken out against the NBCC’s misleading claims. How Much Will the Clean Power Plan Cost?